Booking is “mandatory” for all services, this is because our work is subject to many variables, including: the weather, in fact, the above services will be implemented exclusively in case of favorable weather conditions, the decision will be taken by the master himself, who will have to decide whether to perform the service, if you cancel, or change the way predetermined, everything to ensure the safety of the persons on board. For years we operate in this area, we try to meet all the needs of our customers and put them at ease, so that they can spend their days on board Miguel Catamaran in a relaxed and satisfying, we work with the idea of ​​putting the first place the ospsite board. 2) The customer must know that regulation, with all its conditions (or contact the staff always available) annexed to avoid any dispute. all cases of reimbursement shall be considered valid if the customer can not postpone booking the first available date. 4) Customers are directly responsible to other property, so it is not possible to charge anyone dell’equpaggio staff or the value of any lost items. Customers are directly responsible for any conduct or damage by other children who are in the same group booking; and in no case it has the equiapaggio responsibility or control obligations towards minors. 5) The boat is accessible to people with disabilities are not serious, they will still have their companion because the crew is not qualified for such assistance. 6) The commander has the ability to vary the path whenever it deems it necessary, this to ensure safety and security to all passengers on board. Commander, if it deems a valid condition for the safety board, can anticipate the return from without that customers can request a refund. 7) The Staff and the crew of Asinara Catamaran not be held responsible for any failure by other operators on the island of Asinara. 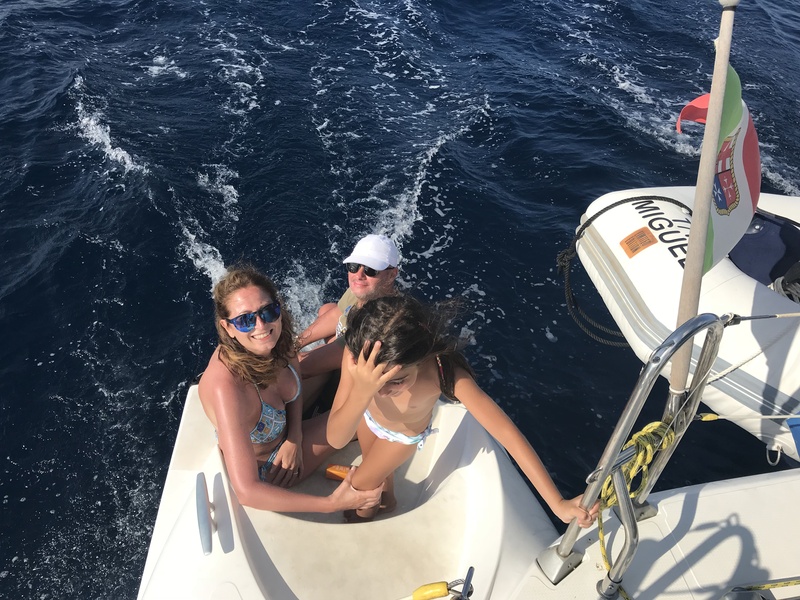 8) The Staff and the crew of Asinara Catamaran is not liable to the customer for any misunderstandings or inefficiencies proposed by the agencies who work with Asinara Catamaran.